Love the color and the styling. Pretty! Hi Jen :). 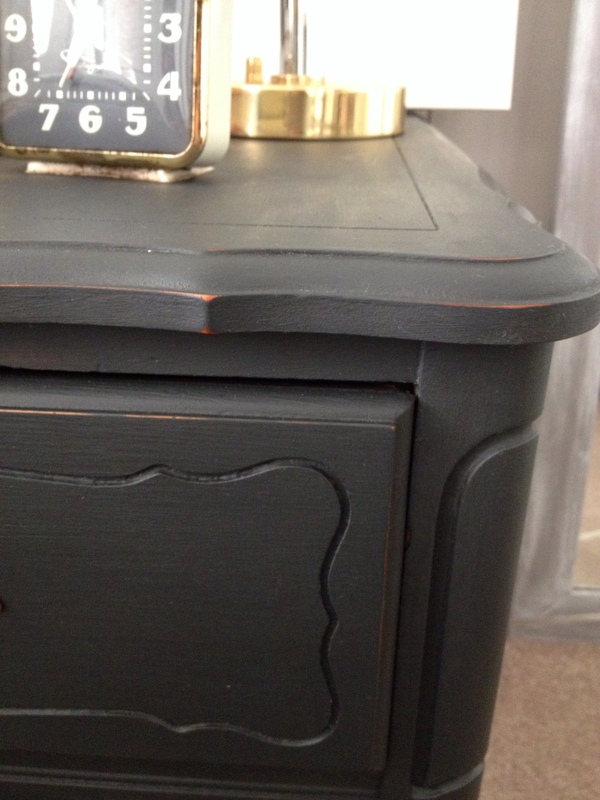 I wa just wondering if I would need primer or some kind of coat to seal the paint? I am new at this DIY stuff. 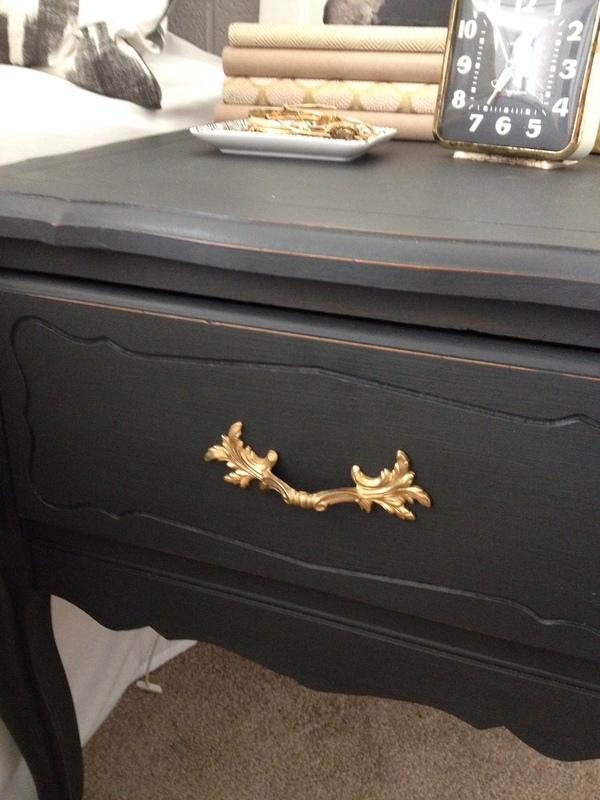 I bought this vanity and I want to vamp it up a little. It has a few scratches so would I need to sand it down or does the filler you put work fine? Also is has a shine to it, I’ve seen in other videos people sand it out, but I noticed you didn’t, does it make a difference whether we sand it out or not? Sorry alot of questions :). 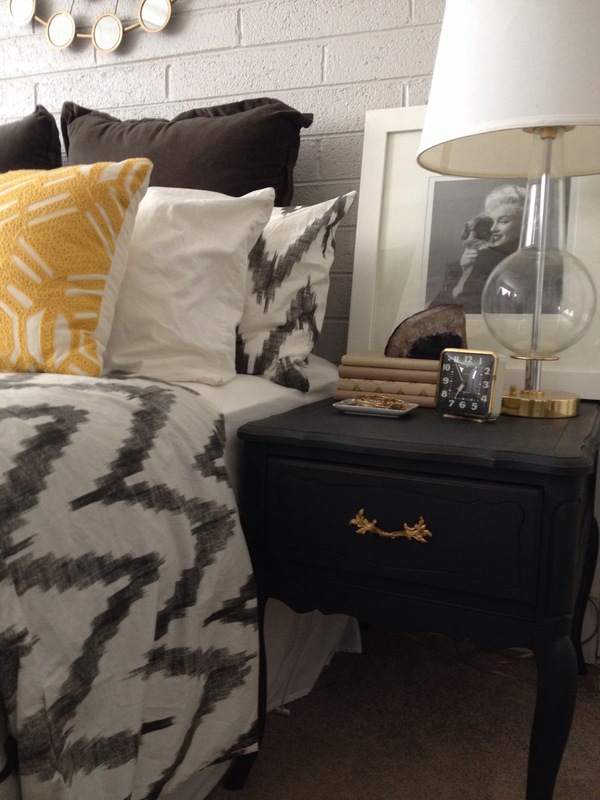 love the night stand, but also love the chevron bed spread. where is it from? Hi Ashley, it is from West Elm!